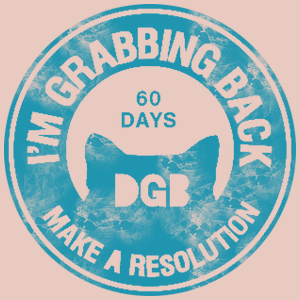 Your first DGB for the brand, spanking new year of 2017 is to make a New Year’s Resolution to commit to doing Grabs for 30, 60, or 90 consecutive days. We truly appreciate all the hard work you Grabbers have been doing and we are seeing and feeling the impact, but with the upcoming inauguration and the healing this country is going to require after the heartache and loss of 2016, we are going to need you to Grab Back even harder than before. Gone are the days of slacking off on Grabs because you thought someone else was doing them. You will have to figuratively choke your oppressor with the chains they’re trying to bind you with. Rebellion will not be easy. Don’t assume 2017 is going to be the New Hope if you aren’t going to work to make it so. 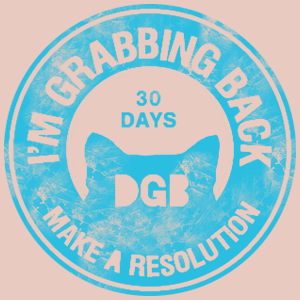 So we ask that you use the force and tack us onto your New Year's Resolution list and commit to 30, 60, or 90 days. It’s not like we’re asking you to marry us, just take us for a ride in your Millennium Falcon, help defeat the evil Emperor, and then see if you want to make a long term commitment, no biggie.